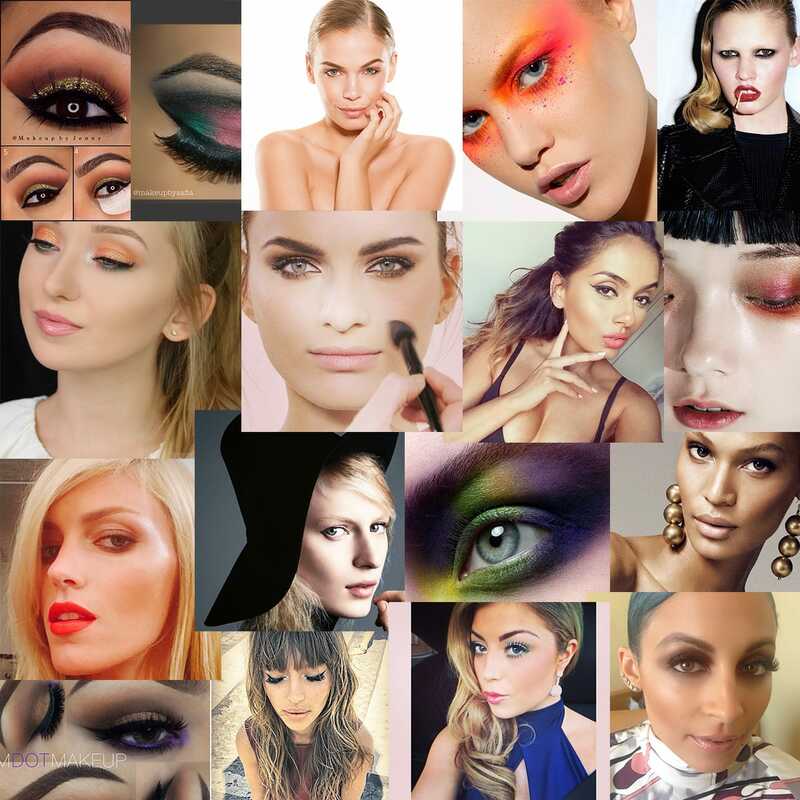 If you are looking for some makeup inspirations, we have collected some of the ones we like. There is only few we have picked out of hundreds available. Enjoy! Today's look Parisienne chic#Paris#France ?? @veryuk @very_beautyteam @terezakacerova @lisaelliottfashionstylist fag day . #EOTD ? : Pop of color with @colourpopcosmetics!? Products: Brows- @anastasiabeverlyhills Chocolate Dipbrow. Shadows- MAC Texture & Embark on crease, @colourpopcosmetics On The Rocks on lid & Dare on waterline and tear duct. Lashes- @houseoflashes Starlet top lashes. Lenses- @desioeyes Caramel Brown. Brushes- @luxielush Rose Gold set. ? 3. frootibeauty got round to doing a quick EOTD. Safiyah hopes you will enjoy it. We sure did! 6. This mix of green, red and white is just gorgeous. Do you agree? makeupbysafia did a great job. Full details on yesterday's look I posted I used all @opvhair brushes to do this look I am obsessed with them they're amazing! Eyebrows are @anastasiabeverlyhills Dipbrow pomade in dark brown. To clean them up I used @anastasiabeverlyhills pro pencil in base 1. On the lids I used @nyxcosmetics jumbo eye pencil in milk for the white. The green on outer lid is @inglotcambridge 135r freedom system rainbow eyeshadow (the darkest shade). The red is Tahitian red pressed eyeshadow by @motivescosmetics and on the cut crease I used 'smoke' blended out with 'natural' and used 'Ivory' on the brow bone. I also added a little bit of moss from the @motivescosmetics my beauty weapon palette on the cut crease and blended. Use my referall code 'SAFIALOVEMOTIVES' to qualify for free shipping when ordering your @motivescosmetics. Liner is @illamasqua precision gel liner. Lashes were topped with @motivescosmetics for @lala volumizung and lengthening mascara (my fav). Lashes are ntr05 from @eyemimocosnetics who are having an amazing localised beauty and tea party giveaway so if your in the San Francisco Bay area head to their page for full giveaway details! Happy Eid my lovelies! ? #lookamillion ?I wish you all the success, happiness and blessings. Let's not forget all those suffering in the world as we celebrate this beautiful event. Thank you guys SO much for all the support you have been showing me? I read all your comments and I am humbled by you all ? Make this Eid a good one!! ?❤️Lipstick is #illamasqua matte lip liquid in 'exotic' and you can find products in previous posts ???? 17. aichrista can create a beautiful looking eyes with help of Nanshy brushes. Sneaky look@at Fridays video featuring the stunning @ksmutok whom I adore and a very very famous makeup artist…..
#RP @joansmalls. #JSxSJ Long day on set.. Shoots between shows. Which one do you like? Let us know in comments below. Have you found something interesting and would like to share with us? Post a link in comments. Eye of the day was cute.